“LOXO-292 appeared well tolerated and demonstrated antitumor activity among patients with heavily pretreated RET fusion-positive non-small cell lung cancer, according to updated interim results of a global, phase 1/phase 2 trial presented at International Association for the Study of Lung Cancer’s World Conference on Lung Cancer. “The ALK and RET inhibitor alectinib yielded good response rates and was very well tolerated in a phase II trial of patients with advanced, ALK-positive non–small-cell lung cancer (NSCLC; abstract 8008). Results were presented at the 2015 American Society of Clinical Oncology (ASCO) Annual Meeting, held May 29 to June 2, in Chicago. Editor’s note: An oncologist will sometimes test a patient’s tumor for specific mutations in order to decide what the best treatment options are. Tumors that have certain mutations can sometimes be treated with certain so-called targeted therapy drugs. This approach has worked well for many people with non-small cell lung cancer (NSCLC). However, there are no FDA-approved targeted therapies for small cell lung cancer (SCLC). A new discovery might change that. Researchers found a mutation called RET M918T in a metastatic SCLC tumor. Two targeted drugs were found to fight against tumor cells with the mutation in the lab. The drugs—ponatinib and vandetanib—are already FDA-approved to treat other types of cancer. “For the first time, an oncogenic somatic mutation at amino acid 918 in the rearranged during transfection protein has been identified in small cell lung cancer tumors and enforced expression of this mutation within small cell lung cancer tumor cell lines produced increased intracellular signaling and cell growth. “SCLC is a highly malignant form of lung cancer representing 15% of all lung cancers and is strongly associated with tobacco smoking. NSCLC, representing 85% of lung cancer, has been extensively examined for genomic alterations and targeted therapies are approved for patients with certain mutations, however SCLC has not been examined with the same rigor and there are no approved targeted therapies for SCLC. Pommiera A, Audemarda A, Duranda A, Lengagne R, et al. PNAS. Jul 22, 2013. Drilon A, Wang L, Hasanovic A, Suehara Y, et al. Cancer Discov. May 7, 2013. We report preliminary data for the first three patients treated with the RET inhibitor cabozantinib on a prospective phase II trial for patients with RET fusion-positive NSCLCs (NCT01639508). Confirmed partial responses were observed in 2 patients, including one harboring a novel TRIM33–RET fusion. A third patient with a KIF5B–RET fusion has had prolonged stable disease approaching 8 months (31 weeks). All three patients remain progression-free on treatment. This report of the activity of cabozantinib in RET fusion-positive disease provides early clinical validation of RET fusions as drivers in lung cancers and suggests that RET inhibition may represent a new treatment paradigm in this molecular cohort. The leukemia drug ponatinib (Iclusig) also appears to target mutant versions of two proteins involved in non-small cell lung cancer (NSCLC). This is supported by two recent studies in which Iclusig slowed the growth of cells with mutant RET and FGFR proteins. The drug also shrank tumors with RET mutations that had been grown in mice. 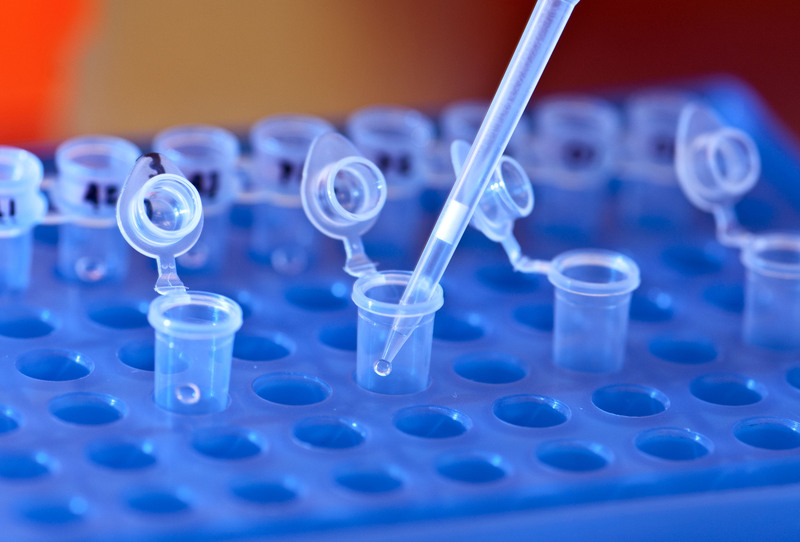 Based on these findings, Iclusig manufacturer ARIAD Pharmaceuticals is planning a phase II clinical trial to investigate the drug’s effectiveness against NSCLC with RET mutations. A phase II trial assessing Iclusig’s effects in squamous cell carcinoma (SCC) of the lung with FGFR mutations is already underway at the Dana-Farber Cancer Institute, Boston, Massachusetts, and is currently enrolling participants.